GDPR: What do I need to do and how can Excelpoint Help? Due to new legislation introduced by the European Union regarding data protection, there are certain obligations that organisations, companies, and businesses must comply to, or face the sanctions that follow (Tier 1 & Tier 2). Companies must ensure their people, processes , security and technologies adhere to recommended standards. In this blog we will delve deeper into the necessary changes, and how our team here at Excelpoint, and our GDPR Software can help your business. An organisation of any size may wish to appoint a Data Protection Officer or DPO. It doesn’t have to be a new staff member, it could be an existing one. According to the GDPR, Public Authorities, and Organisations that regularly monitor subjects or process sensitive data/records, as well as Organisations whose local authorities require them to, are obliged to appoint a Data Protection Officer. In it’s basic and immediate form, Excelpoint’s Information Asset Register will allow the work to record information assets to be distributed across the organisation and will surface visibility of assets, problem area’s and progress towards compliance to the senior management team. To find and identify potential compliance risks, as well as to mitigate and/or resolve said risks, Privacy Impact Assessments should be completed, to ensure no articles or guidelines of the GDPR legislation are infringed upon, avoiding any warnings or sanctions (such as the tier 1 or tier 2 sanctions). Excelpoint provides two basic forms of assessment covering the ICO recommended steps and Operational / Technical assessment. Once the work has been conducted on the basic assessments, this stage is followed up with a full assessment. The information mapped can record and categorise all of the relevant processes and statements to ensure compliance, such as the personal data, purpose of storing it, the legal basis of processing, necessity and proportionality statement, and risk assessments with ratings, as well as key people involved such as the data owner, the data processor, and any third parties. This full assessment forms the Article 30 Record. Data subjects can submit Access Requests as well as enquiries to organisations to find out what data/details are being stored that concerns them. The data controllers must be able to confirm the existence of as well as provide a copy of the personal data requested, and answer any queries concerning the data, such as how it is processed and stored. As well as other rights Data Subjects also have the ‘Right to erasure’, an updated version of the 1995 Data Protection Act’s ‘Right to be Forgotten’, which ensures that any unnecessary customer data is deleted or removed, to the request of the data subject in hand, depending on the circumstances. This capability can be extended into connection with the actual data repositories in order to automate the process of extracting required data and forming the “package” for the data subject, if required. 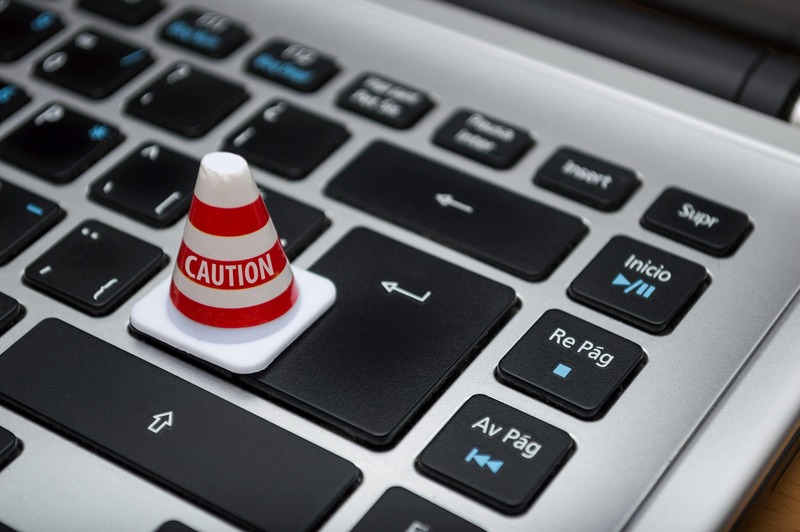 Data protection is of the highest importance, which is why any Data Breaches must be reported to the local Data Protection Authority within 72 hours (3 days) of the breach being found and/or made aware of. Should this timescale not be met, the organisation, business or company could face a Tier 2 fine, which is 10 million euros or 2% of annual global turnover of the previous year, whichever of the two is the greater value. Should the breach be more serious than this, a Tier 1 fine can be awarded, which is the greater value out of 20 million euros or 4% of annual global turnover from the previous year. Excelpoint’s software solution also records all relevant details of data breaches, as well as automatically and instantly notifies the appropriate internal stakeholders, in addition to storing the details of the investigation and correction actions in respect of each data breach. The system also has the capability to create an incident in your corporate Incident Management system. This means that existing processes and procedures can be embraced. When creating or implementing a new products, projects and services, consider privacy risk. It is important to ensure that personal data is collected, stored and processed/used with privacy taken into account. The Excelpoint system allows data stores, processes, sharing of data to be recorded, risk assessed, properly protected and all evidence recorded in the Information Asset Register from the very beginning and continue through to live operational use. More and more businesses are challenged with meeting their legal obligations and are struggling to understand the operational difficulties of rolling out improved procedures, as the GDPR deadline (May 25, 2018) looms. Those that are yet to accommodate the new legislation are at risk; the longer they take, the more of an advantage their competition retains. 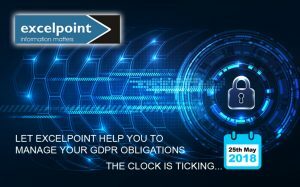 Many organisations Excelpoint have worked with approached the GDPR challenge as “an obligation” but having been through the process many operational problems and inefficiencies have been uncovered, identified, assessed and resolved, delivering real benefits that were nothing to do with GDPR.